When is the best time to floss your teeth: Morning? Bedtime? How about: whenever and wherever the moment feels right? For Cam Newton, award-winning NFL quarterback for the Carolina Panthers, the answer is clearly the latter. During the third quarter of the 2016 season-opener between his team and the Denver Broncos, TV cameras focused on Newton as he sat on the bench. The 2015 MVP was clearly seen stretching a string of dental floss between his index fingers and taking care of some dental hygiene business… and thereby creating a minor storm on the internet. Inappropriate? We don't think so. As dentists, we're always happy when someone comes along to remind people how important it is to floss. 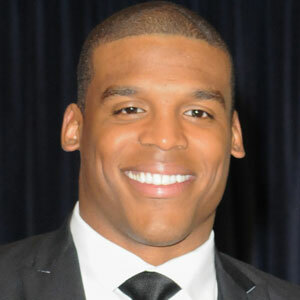 And when that person has a million-dollar smile like Cam Newton's — so much the better. It's well established that when plaque is allowed to build up on teeth, tooth decay and gum disease are bound to follow. A tooth brush does a good job of cleaning most tooth surfaces, but it can't reach into spaces between teeth. Cleaning between teeth (interdental cleaning) has been shown to remove plaque and food debris from these hard-to-reach spaces. Dental floss isn't the only method for interdental cleaning… but it is recognized by dentists as the best way, and is an excellent method for doing this at home — or anywhere else! Whether you use dental floss or another type of interdental cleaner is up to you. But the ADA stands by its recommendations for maintaining good oral health: Brush twice a day for two minutes with fluoride toothpaste; visit your dentist regularly for professional cleanings and checkups; and clean between teeth once a day with an interdental cleaner like floss. It doesn't matter if you do it in your own home, or on the sidelines of an NFL game… as long as you do it! If you would like more information about flossing and oral hygiene, contact us or schedule an appointment for a consultation. Serving the communities of Frederick, MD and Spring Ridge area.